Pull inspiration from the smallest details, or build upon the largest. Here are five yellow gold rings we think you'll admire. This ring puts an eclectic spin on a Round cut bezel setting. 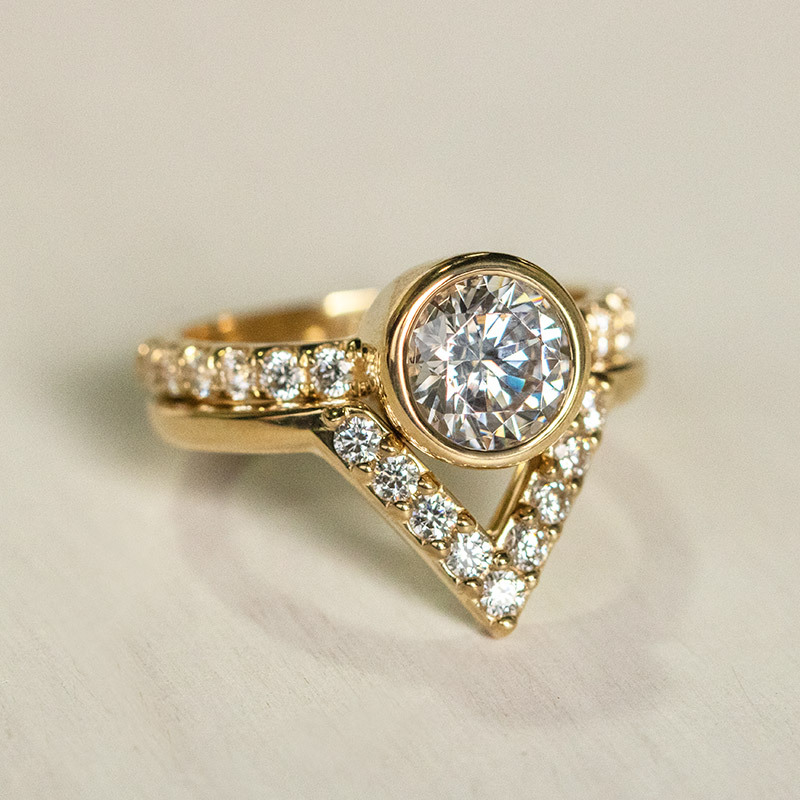 The triangle-shaped nesting band cradles the inner stone and gravitates eyes toward the ring’s inner charm. A yellow gold accented band brightens its elements, whereas a white band would slightly mask its key protruding features. This isn’t a usual Round cut design. Although layered with traditional features, this ring encompasses a split band with asymmetrical accents that give it an original side view. The modest gloss keeps this design feeling light and elegant. Consider adding original characteristics to a customary style like this to create your own fresh look. Original halo designs can take you to uncharted, but gleaming territory. This style focuses on the inner glow and leaves the side profile sleek and simple. This way of designing usually brings to life an alluring antique look, which many couples are reverting back to. Mixing Emerald and Round cuts like this help bring that traditional feel even further. 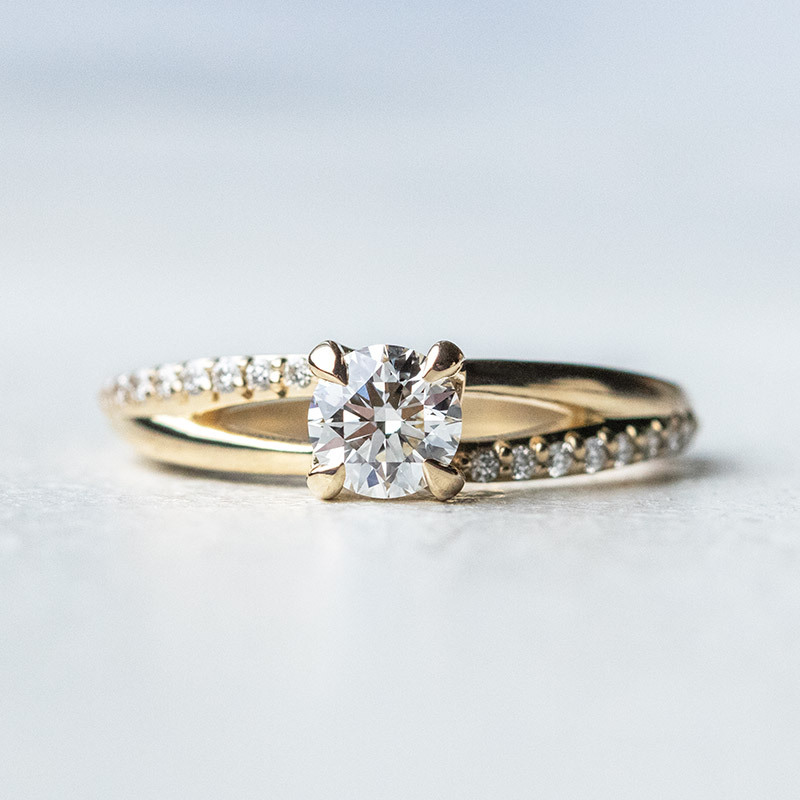 This design balances its shine equally between the head and shank by pairing a basic Princess cut with flavorful accents extending the entire intertwining band. The four rounded prongs draw an effortless distinction between the yellow gold and the floating look of the stone. 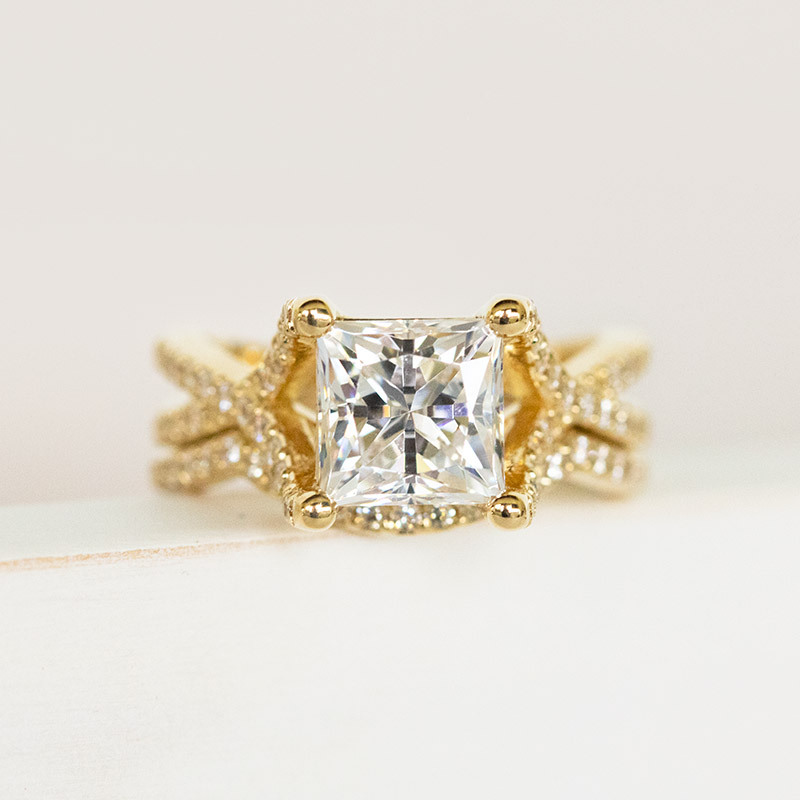 Although some decide to mask their prongs, there is a lot of extra appeal you can add when you get creative with them. 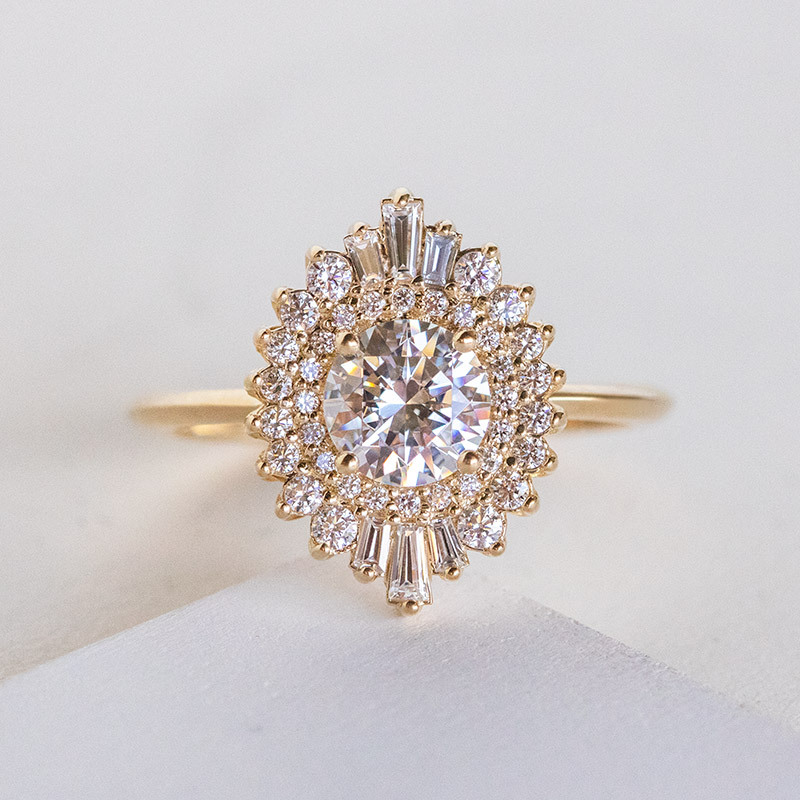 The result is a fully glamorous ring that you can admire from all angles. 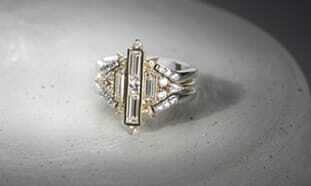 If you’re willing to be different with your ring, add elements that compliment your design without hesitation. 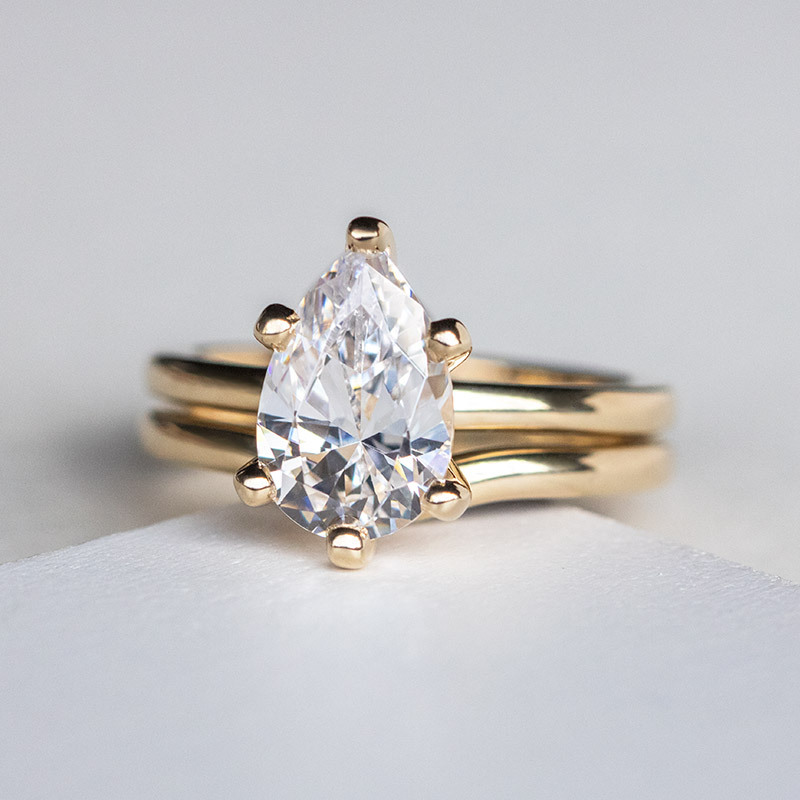 This Pear cut is held by 6 smooth-edged prongs and a yellow gold double band. The lower shank slightly dips to frame the stone and add to its refined features. With an unaligned cut like this, a thicker band balances all aspects while keeping any one piece from overpowering the complete appearance. Which ring will you draw inspiration from? Number 3, hands down. It is exquisite. Then, that gorgeous pear shape (No. 5).